The U.S. national economy was at its lowest point in 1931 and 1932, giving RCA its only deficit years. However, the boom years of the late 1920s were followed by a depression that was even deeper in the record business than in the general economy. Sound film and radio replaced records as a fashionable form of entertainment, and by the mid-thirties, record production had declined from the level of 1929 to, for example, one-tenth in the USA and one-sixth in Germany. One-tenth of the production levels with bankruptcies and mergers in the mid-thirties from the late 1920s boom in the record industry isn’t a particularly profitable trend. By the end of the 1930s things did pick up for the recording companies but for the most part, recordings in general (much less classical recordings) weren’t particularly profitable during most of the Depression years. 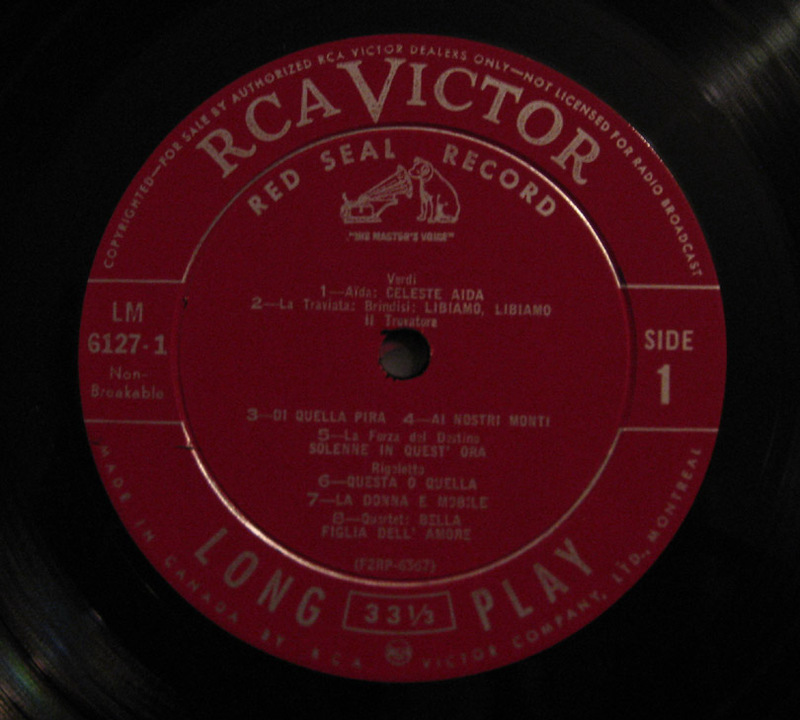 Red Seal Records was the Classical Music arm of the RCA Victor company. Maybe at some point classical recordings made up half of the revenue for RCA Records, but it didn’t happen in the 30s. And even if it was half–half of 1/10th the revenue of the 1920s isn’t something to write home to mom about. Seems like the general attitude towards classical music hasn’t really changed much over the decades in the US and all the effort put into raising the “level of American musical literacy” is a perennial problem. This is not to say that the new recording technology didn’t have a big impact on culture. It did. Mark Katz (1998) gives a wonderful overview of how phonographs affected culture, especially in regions where no live classical music organizations existed. The phonograph was a great supplement (or substitute) to the Women’s Music Clubs which also became much more prominent in the early part of the 20th century (see Whitesitt’s “The Role of Women Impressarios in American Concert Life, 1871-1933” for a concise history). Of course, the Federal Music Project issued hundreds of recordings which were given out free to radio stations all throughout the US during those Depression years. Next Where would Classical Music in America be without the Women’s Music Clubs? I want to ask if even a record of. caruso’s could have sold millions back then … I highly doubt that millions of families owned phonographs when they were still relatively new and expensive technology. It’s possible, but highly unlikely, the Gronow piece estimates that between a third and one half of households had a portable grammaphone by the 20s and 30s (this is surprising to me) and by 1921 an estimated 140 million records were sold in the US (through the first half of the 20s annual sales averaged 100 million). That would mean units sold dropped into the tens of millions by the 30s if the one-tenth figure is correct–and a quarter of that number for classical recordings sold (at least by RCA Victor Red Seal) during that period. Information on the sales of individual recordings and on the number of releases in this period remains difficult to come by. Murrells (1974) clearly overestimates the number of million-selling records, although there is undeniable evidence of some recordings selling over a million copies in the late 1920S and again in the late 1930S in the USA. Production methods before 1930 were not conducive to supporting even a longstanding hit at a rate of a million copies of anything. Making a shellac disc took time and it was a slow process. Sometimes when RCA Victor made claims of a million sold it was for a title/artist in every conceivable format; originals, remakes, electrical remakes, in Caruso’s case electrical re-recordings, what have you. And these sales would be tallied up over a period of decades; the various Victor issues of Arthur Collins’ “The Preacher and the Bear” for example, started in 1904 and were still in print up through 1941. The $1.98 double albums “60 Years of Music America Loves Best” issued in 1959 contained selections that were near, but not quite to, the figure of a million sold in the hopes that inclusion on those super-cheap albums would help to push them over the top. Very good points–and that decades long accrual might have been the impetus for the industry model of “artist development” that would become the standard manner in which the industries invested in artists allowing them several recordings to build interest in the hopes of eventually hoping for that million + hit. But that didn’t happen until the production methods grew cheaper thus allowing the industry to turn into an economy of scale. And most of the megahits of today are from the catalog releases of tried and true artists which are still the big sellers–in a way this mimics orchestras tendency to play the old tried and true chesnuts–older best selling records consistently make more money for labels than even newer superstar hits which may or may no have staying power in the future!